Styled with leila bodysuit and maria dress . 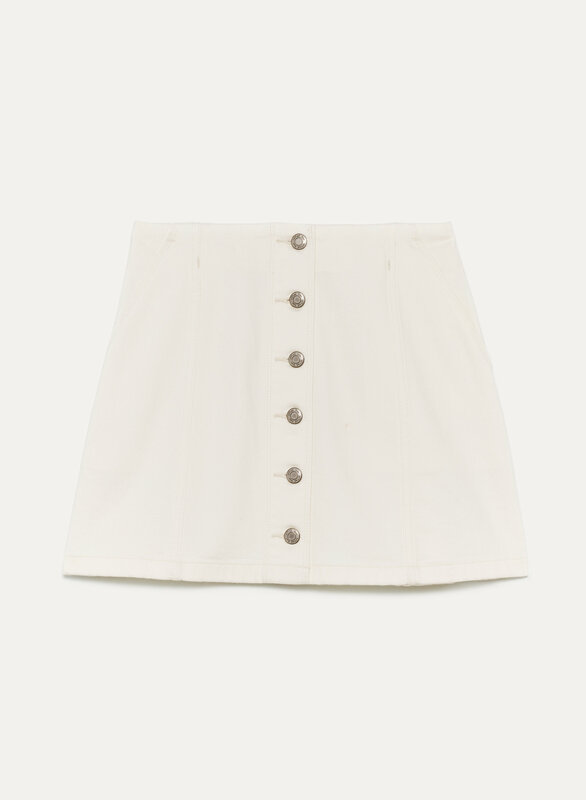 This mini skirt is cut from soft cotton blend denim that’s been specially treated to give a vintage look and feel. It has a mid-rise fit with subtle tailoring and a button-up front that plays off the retro-inspired shape.